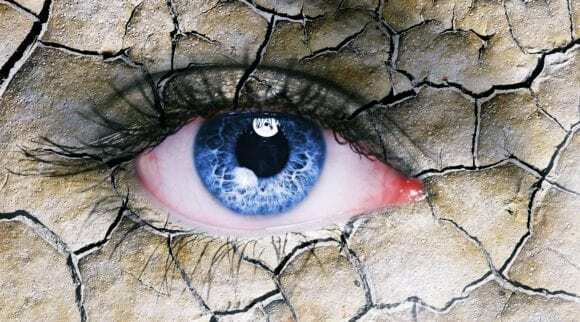 Are you concerned and frustrated about flaky skin on your eyelids? If so, take a deep breath and keep reading our valuable guide to diagnosing, treating, and preventing flaky skin on your eyelids. Many people are suffering from flaky skin and our goal is to help relieve your suffering. So, where should you start to resolve the problem? 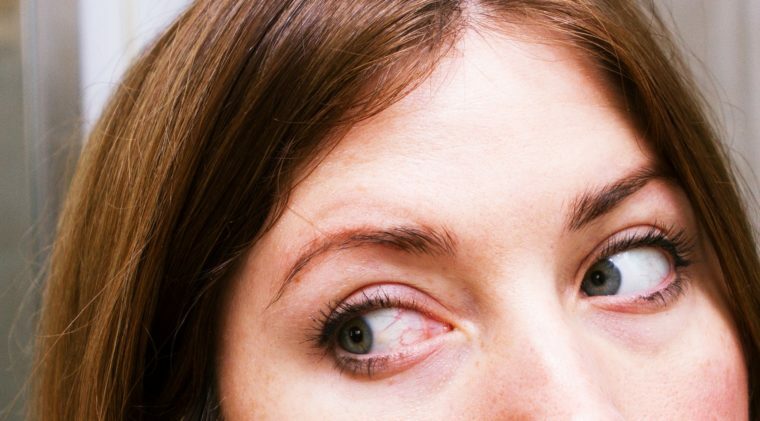 You should start by determining what’s causing the flaky skin on your eyelids. Knowing the cause will help you select the most effective treatment. Luckily, there are many over the counter or online products that can provide instant and lasting relief. Many of them contain all-natural ingredients that present additional health benefits. 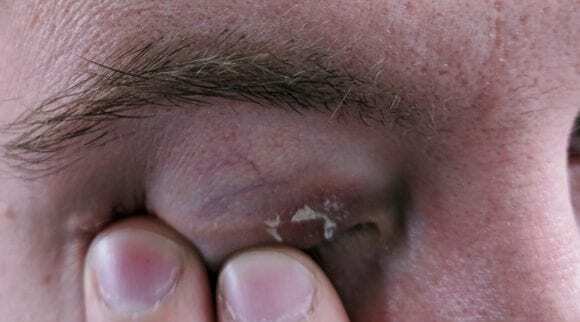 What’s Causing Flaky Skin On My Eyelids? 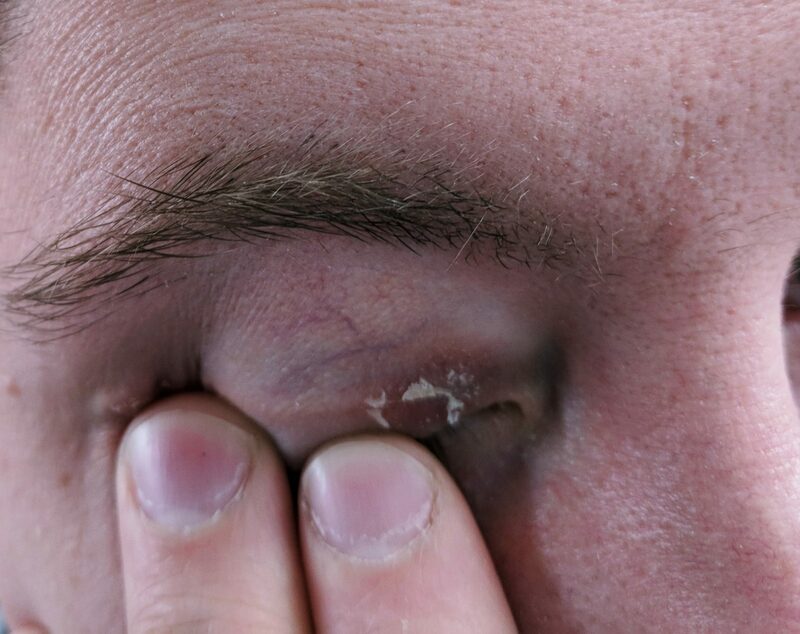 If your eyelids are dry, irritated, red, and/or itchy you may be suffering from eyelid dermatitis. 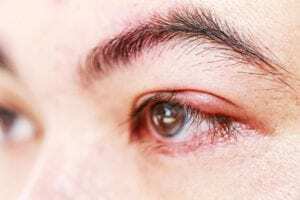 Dermatitis can be defined as inflammation of the skin resulting in redness, swelling, soreness, blistering, and other types of irritation of the eyelid skin. Allergic contact dermatitis typically develops from an allergic reaction that causes eyelid skin to become inflamed. So what’s causing the reaction? Some of the most common causes are…. Fragrances in lotions, perfumes, soaps, etc. Irritant and allergic contact dermatitis can be caused by similar factors such as the ones listed above. When a substance has direct contact with the eyelid and damages the outer layer of skin it can result in irritant contact dermatitis. Atopic dermatitis, or eczema, is most commonly found in children but it’s possible for adults to get it as well. Eczema is rather common and you can find effective and affordable treatments for it in this blog. Eyelid dermatitis can be substituted with the terms eczema or psoriasis. 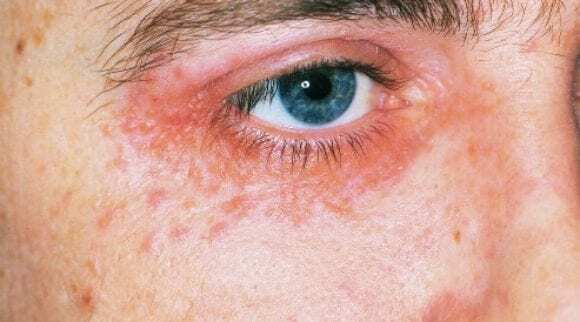 Eczema can affect the eyelids. The most common form of eczema is atopic dermatitis. If patches of eyelid skin are inflamed, itchy, cracked, red, or rugged you may have eczema. In some cases, blistering may occur. The exact cause of eczema remains a bit of a mystery. Eczema is most commonly triggered by allergens but can also be triggered by foods such as dairy and nuts. It can also develop as a mixture of environmental and genetic factors. Symptoms can be reduced and managed with proper treatment. Although, it’s not a curable condition, at least not yet. Flaky, red, itchy, watery, or inflamed eyelid skin are all common symptoms of seborrheic dermatitis. Similar to eczema, the specific cause of seborrheic dermatitis remains unknown. It is believed that malassezia, or irregular response of the immune system, can cause seborrheic dermatitis. Malassezia is a yeast or fungus found in the oil secretions on the skin. Can Eyelash Extensions Cause Flaky Eyelid Skin? Eyelash extensions can cause flaky eyelid skin or inflammation. You should take care of the problem and remove the eyelash extensions right away to prevent the condition from worsening. Personally, I have experienced this problem from eyelash extensions. I got extensions for over a year and then suddenly my eyelids became increasingly inflamed, watery, red, and flaky. The problem began with flaky eyelid skin and worsened from there. I was hesitant to believe that my eyelash extensions were the cause since I had worn them for so long without issue. Not to mention, I loved the way they looked and didn’t want to get rid of them. Now that the problem has been treated and the eyelash extensions have been removed, I realize they were, in fact, causing the inflammation and flaky skin on eyelids. The glue and other products used on those beautiful eyelash extensions are usually not regulated. This means that the brand name can stay the same, but the contents can vary, thus causing a reaction that seems out of the blue. Can Flaky Skin on the Eyelids be Treated with “Over the Counter” Products? Yes, flaky skin on your eyelids can be treated with over the counter products. Many of them can even provide instant relief. Below is a list of 8 well-loved products that have already helped a variety of people with unique problems and skin types. In addition, many of these products are created with all natural ingredients and made in the USA. If your condition does not improve you should see a doctor as soon as possible. 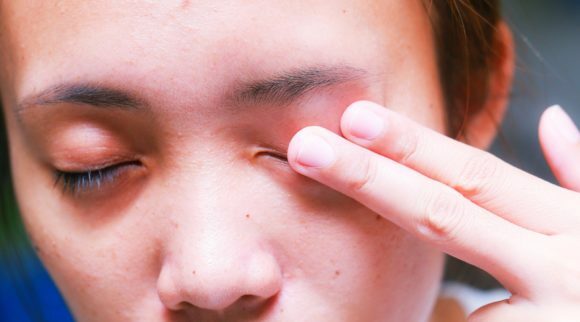 How Much Are You Willing to Remedy Flaky Eyelid Skin? Prior to purchasing anything, you should set your maximum budget and determine what it is that you want to accomplish. By identifying all of your symptoms, it can help you narrow your search and find the product you are looking for. In some cases, you may need more than one remedy. The list below is prepared to help you understand each product and its purpose so that you can find relief from flaky skin on your eyelids. How Should You Select the Most Effective Product For Your Skin? Educating yourself about what you are putting on your skin can help you select the most effective product. To avoid potential reactions, you should read and learn about the ingredients used in the product you wish to purchase. Defining your desired results can also help you narrow down options and select the right product. Many products listed below offer additional benefits on top of providing relief of flaky eyelid skin. Help yourself while helping someone else by purchasing Heyedrate Lid & Lash Cleanser. For every product sold, Heyedrate allocates a portion of the profits to someone in need of eye care. Their 100% organic and vegan, hypoallergenic, and alcohol-free cleanser is created for your delicate face to love. It is good for all ages and made in the USA. 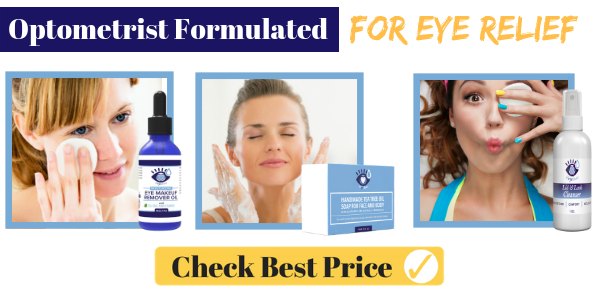 Designed for sensitive skin, made in the USA, and created with all natural ingredients Heyedrate Lid & Lash Cleanser is a high quality product with an affordable price. You will love its easy application process that eliminates the need to rinse or remove the product. It’s a well loved product that provides the ultimate moisture, comfort, and relief. 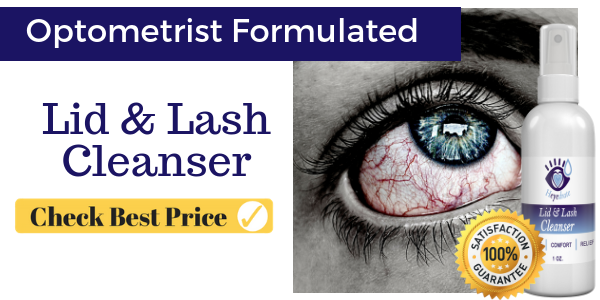 Who Should Use Heyedrate Lid & lash Cleanser? Heyedrate Lid & Lash Cleanser is good for all ages to use daily. If you have delicate skin this cleanser was made with you in mind. This cleanser is an effective treatment for a wide variety of uses, such as treating blepharitis or as daily maintenance to improve hygiene. Heyedrate Lid & Lash Cleanser provides an easy application process and fast onset of action within minutes. For the best results, use daily in the morning and evening. You can use this product to fight bacteria and inflammation just about anywhere on the body. All of these things help to resolve flaky skin on your eyelids. Anyone looking for an eczema treatment cream that’s made in the USA, free of harmful chemicals, and recommended for sensitive skin, should try Puriya. It’s created to help treat eczema and combat itchy, cracked, red, and inflamed skin. 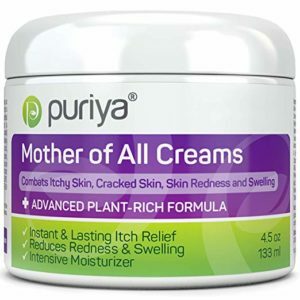 Puriya offers an advanced plant-rich formula that can provide instant and lasting itch relief. It can also reduce redness and swelling. In addition it’s intensely moisturizing. Healthy eyes are valuable. Therefore you should be educated about what products you put on them. Puriya Cream is an effective and quality product that helps treat eczema, psoriasis, dermatitis, and rashes. You should be comforted by its use of high quality and non-toxic ingredients. It’s proudly made in the USA and does not contain artificial fragrances or colors. Puriya Cream delivers value to customers in terms of quality, quantity, price, and effectiveness. Amaranth oil helps effectively treat irritating skin conditions. It is useful for skin conditions where allergies may be at the root of the cause. It contains B and E vitamins and an elevated amount of essential fatty acids. It’s considered the highest plant source of Squalene. Squalene is a powerful anti-inflammatory cell growth enhancer and anti-allergic compound. Aloe Vera is a soothing desert plant that contains antioxidant vitamins A, C, and E. In addition, it’s high in minerals including calcium, zinc, selenium, and magnesium. It delivers a healing and protective moisturizer by combining these nutrients with over 22 amino acids. When treating eczema and dermatitis cases, Shea Butter is an extremely helpful ingredient. It helps to reduce inflammation and soothe itchy skin. Plus, it naturally restores moisture and quickly heals rough and damaged skin. Did we mention it stimulates cell repair? It’s loaded with high-antioxidant vitamins A and E, along with many phytonutrients. Who Should Use Puriya Cream? Puriya Cream is designed to help treat eczema, psoriasis, dermatitis, and rashes. It can also help moisturize, strengthen, and repair many cases of damaged skin. Its ultra gentle formula works to strengthen your skin’s natural barrier and actively reduce pain. As usual, for any product you wish to use on your skin you should read all of the ingredients before using. Puriya Cream goes beyond providing instant relief. If you continue to use it after experiencing relief it will continue to benefit you. It can improve the condition of damaged skin, alleviate problematic skin, and deliver visibly healthier and more radiant and plump skin. Looking for lasting relief of itchy, scaly, dry, and irritated skin? Thena’s all-natural plant-based formula works to nurture, repair, and protect the skin and surfaces deep below the top layer. It’s cruelty free, safe, and gentle for all skin types. Plus, the light and natural ingredients produce a healing cream that goes on without blocking pores. Therefore, it’s a great option if you are trying to get rid of flaky skin on eyelids. Nurture your skin with Thena’s all-natural healing cream while avoiding topical steroids and their aggressive side effects. 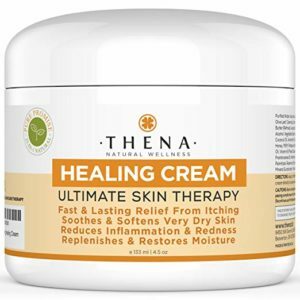 Receive instant relief, protection, and prevention using Thena’s healing cream. Thena’s Healing Cream is composed of 99.6% natural, raw, and organic ingredients. It features 25-in-1 plant-based superfoods for an incredible antioxidant blend. It’s gluten free, cruelty free, and fragrance free. Natural herbs and vegetables, natural foods, natural plant oils and vitamins, and a pure essential oil blend work together to create Thena’s soothing healing cream. Who Should Use Thena’s Healing Cream? Thena’s Healing Cream is the secret to getting back your soft, clear and smooth skin. Say bye-bye to flakey skin on eyelids! In addition, it can be used to treat more serious conditions, such as eczema or dermatitis. Or, simply use it to improve the overall quality of your skin. If you are searching for a simple medicine cabinet staple item that can provide fast itch and inflammation relief, while also moisturizing your skin, you should try Cortizone 10. This maximum strength and water-resistant ointment is commonly used for psoriasis, poison ivy, irritation and rashes. Considering the many uses Cortizone 10 Ointment can provide, it’s surprisingly one of the least expensive items on our list. It contains only one active ingredient making it easy to identify whether you may be allergic to the product or not. 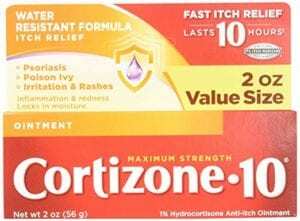 Cortizone 10 Ointment contains the anti-itch active ingredient Hydrocortisone. It also contains petroleum as an inactive ingredient. This product is proven to reduce inflammation and redness, provide itch relief, and lock in moisture. Who Should Use Cortizone 10 Ointment? Cortizone 10 can be an effective fast relief treatment for itchy skin, as well as minor skin irritations, inflammation, and rashes. It is often used to treat skin exposed to poison ivy, oak and sumac, as well as insect bites. In addition, it can offer relief for eczema, psoriasis, and contact dermatitis. Cortizone 10 is recommended for adults and children over two years of age. It is a handy ointment to store in your medicine cabinet at all times. In addition to its many purposes, it can also be used for rashes caused by jewelry or dry winter skin. It’s simple to apply and provides fast relief within minutes. Calmoseptine helps promote healing by protecting and soothing skin. The anti-itch relief and skin protectant ointment is made from two active ingredients. Calmoseptine Ointment is often recommended by doctors, although it is available as an over the counter ointment. It’s created with only two active ingredients making it a good option for someone with a lot of skin allergies or sensitivities. These ingredients work together to help heal skin irritations, burns, and cuts. In addition, it can be used to treat other medical conditions. It is safe to use on babies. However, it is not recommended for use on premature newborns. Calmoseptine can help many cases of irritated skin. Plus, it is easy to obtain and use. In addition to relieving itchy skin it is known as an effective treatment option for diaper rash. 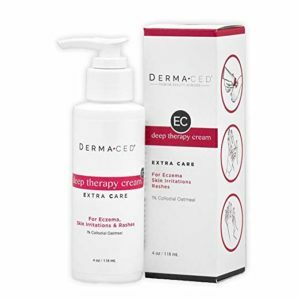 If you are looking for fast relief from dry, itchy, and irritated skin you should try Dermaced Deep Therapy Cream. It contains colloidal oatmeal as a powerful main ingredient. Colloidal oatmeal has been used for centuries to sooth-irritated skin. This deep therapy cream is an effective and high quality natural product. Dermaced Deep Therapy Cream uses natural ingredients, is FDA Registered, and made in the USA. It provides soothing relief on contact and creates a water-holding barrier that draws in moisture and provides protection for your skin. It simultaneously delivers powerful itch relief, softens the skin with antioxidants, and kick-starts the healing process by triggering immune cells. Dermaced Deep Therapy Cream is packed with three of the most moisturizing oils on the market. These oils contain a surplus of nutrients and essential fatty acids. These oils help nourish the skin for extended periods of time. Dermaced Deep Therapy Cream protects you from pesky skin irritants that can slip through your skin’s protective layer. If you have eczema this is something you should be aware of. Dermaced Deep Therapy Cream helps defend against bacteria, viruses, and helps sooth inflammation and can even help treat flaky skin on eyelids. Dermaced’s Deep Therapy Cream also uses beeswax. Beeswax is a natural ingredient that acts as a natural sealant. It provides a thin waxy layer above the skin. This layer works to lock in moisture and prevent it from evaporating. It leaves the skin feeling clean and soft rather than sticky like many comparable moisturizers. Who Should Use Dermaced Deep Therapy Cream? If you are suffering from eczema moisture, Dermaced Deep Therapy Cream contains some of the most moisturizing oils. Plus, it uses beeswax as a natural sealant to lock moisture in. In addition, it protects against skin irritants that can slip through the skin’s protective layer. If you have eczema this is beneficial to you and the health of your skin. Dermaced Deep Therapy Cream can be used for eczema, psoriasis, or just dry irritated skin. Discover a gentle and non-greasy eczema body cream that is clinically proven to provide relief. Eucerin relieves dryness, itching, redness, and minor irritations that can result from eczema. It also works to strengthen the skin’s top protective layer. For best results, it’s recommended to use this product regularly. Eucerin Eczema Relief utilizes natural ingredients that soothe, protect, and relieve irritated skin. Your skin can feel calm and comfortable after applying this lightweight and fast acting cream. Eucerin Eczema Relief uses colloidal oatmeal as the main active ingredient. Colloidal oatmeal is a skin protectant that has been used for centuries to soothe irritated skin. Colloidal oatmeal is also used in Dermaced Deep Therapy Cream mentioned above. Eucerin Eczema Relief is enriched with other ingredients such as ceramide-3 and licorice root extract. The ingredients work together to provide relief, moisture, and protection. It also creates an oily layer on the top of the skin to help retain water and moisture for lasting results. 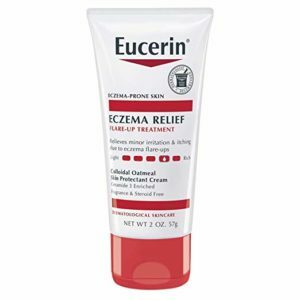 Eucerin Eczema Relief Cream is a versatile product that is suitable to use on adults, children, and even infants as young as 3 months. If you are prone to allergies or have sensitive skin you can appreciate that this product is free of fragrances, steroids, and dyes. After you apply Eucerin Eczema Relief, it instantly calms skin with a mild cooling sensation. Its ceramide fortified formula is designed to improve the condition of your skin. Plus, you can also use it to improve the appearance of red irritated skin thanks to its licochalcone enriched formula. Take advantage of four creams in one by using BeeFriendly Natural Face and Eye Cream. It earned its reputation of four creams in one because it’s an eye, face, neck, and décolleté cream. This cream was created for quick absorption and deep moisturization, with all skin types in mind. BeeFriendly Natural Face and Eye Cream contains ingredients that are clinically proven to naturally aid in the reduction of fine lines and wrinkles while intensely moisturizing skin. Plus, it can help reduce flaky skin on eyelids. BeeFriendly Natural Face and Eye Cream is a one-cream solution that can reduce wrinkles and dark spots while leaving your face feeling nourished and healthy. It uses all natural quality ingredients so that a little goes a long way! BeeFriendly Natural face and Eye Cream contains all natural and certified organic ingredients and is handmade in the USA. Every ingredient used in this cream is beneficial to your skin. In addition, it’s non-GMO and free of gluten, parabens, fragrances, fillers, and chemicals. No animal testing is done with this product, which is great news for animal lovers. In time the natural ingredients aid crows feet, liver spots, bags, circles and dark spots on mature skin. Raw honey is a very hydrating antibiotic for the skin. It works to stimulate collagen and skin cell regeneration. Beeswax is a natural ingredient that your pores will love. It can improve elasticity and softness, while adding to the suppleness of your skin. Propolis is an anti-bacterial that helps skin heal and protects it from further damage. Organic olive oil contains the same fatty acids as your skin: vitamin A, and vitamin E.
Who Should Use BeeFriendly Natural Face and Eye Cream? 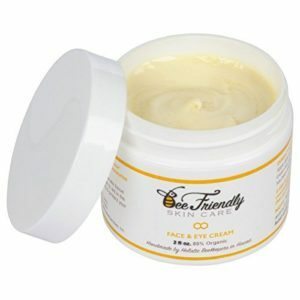 Anyone who wants to get rid of flaky skin and restore skin health should try BeeFriendly Natural Face and Eye Cream. You can also use this cream to prevent premature aging. BeeFriendly Natural Face and Eye Cream is deeply moisturizing, all natural, organic, and quick absorbing. It can help you fight off free radicals, the root cause of premature aging. Selecting the right product to remedy flaky skin on your eyelids requires plenty of research. The good news is there are many effective and natural products available for all skin types. Many of them even offer additional skin and health benefits along with lasting relief. Your eyes are delicate but they can heal rather fast. Selecting products that use natural ingredients can be beneficial to your health and the safety of your eyes. Investing time into researching products before purchasing can benefit you in the short and long term. Plus, it can help you find the right product to get rid of flaky skin on eyelids. Puriya Cream, Thena Healing Cream, Dermaced Deep Therapy Cream, and BeeFriendly Face and Eye Cream are highly recommended but do come with a higher price tag. If you are looking for a more affordable, but still effective, remedy you should try Eucerin Eczema Relief, Calmoseptine Ointment, Cortizone 10, or Heyedrate Lid and Lash Cleanser. 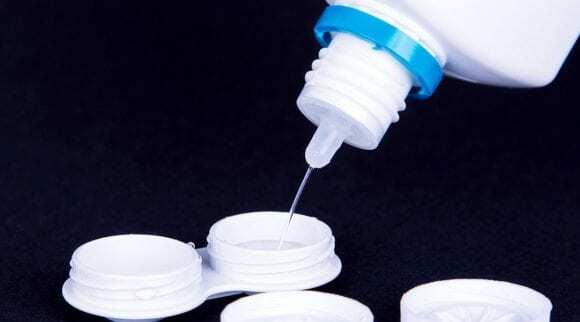 Heyedrate Lid and Lash Cleanser should actually be used by everyone on a daily basis for eyelid hygiene maintenance. Eyelid inflammation is rather common and the Internet can provide a wealth of information about it. Take advantage of the information available to help you understand and treat your flaky skin safely and effectively. In some cases, you may need to see your doctor for proper treatment. Especially in cases involving bacterial infections. Overall, the products featured on our list are all recommended and top rated.